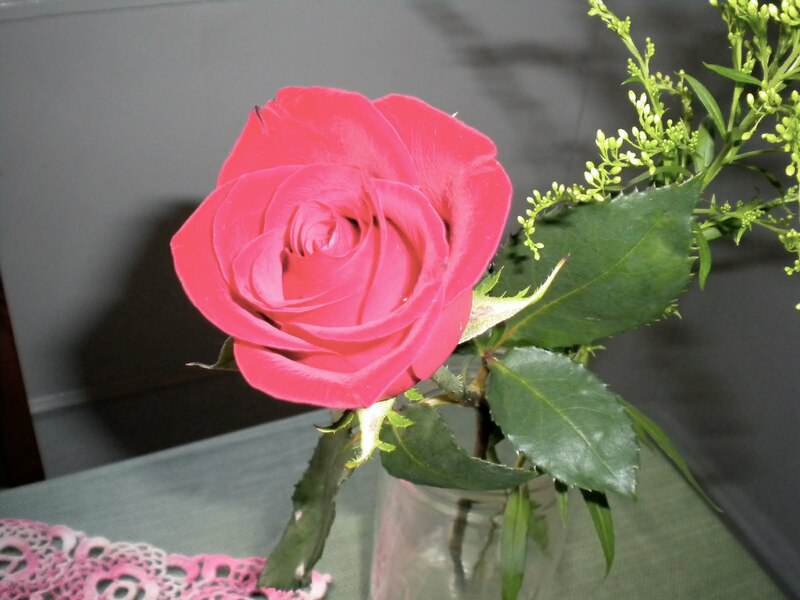 There is titillating pleasure in looking back at the past and asking oneself, “What would have happened if…” and substituting one chance occurrence for another, observing how, from a gray, barren, humdrum moment in one’s life, there grows forth a marvelous rosy event that in reality had failed to flower. A mysterious thing, this branching structure of life: one senses in every past instant a parting of ways, a “thus” and an “otherwise,” with innumerable dazzling zigzags bifurcating and trifurcating against the dark background of the past. I should note that if you, like me, are crazy about feta cheese (it’s not for everybody as I had wanted to make this recipe back in June, but held off due to my mother’s dislike of this very fine cheese..and, as you can see in the above shot, it’s not the most photogenic of cheeses), you will want to try this dish immediately. There is, however, one thing you should know: Graviera cheese is hard to find, which was, for me, more than a little surprising. After all, I basically live in a food mecca, what my friends and I sometimes jokingly call “the land of plenty” or even “the land of milk and honey” (yes, we’re a little snooty; I’m sorry about that, truly! Blame Alice Waters…), but, when it comes to Graviera cheese, we’re sadly lacking. 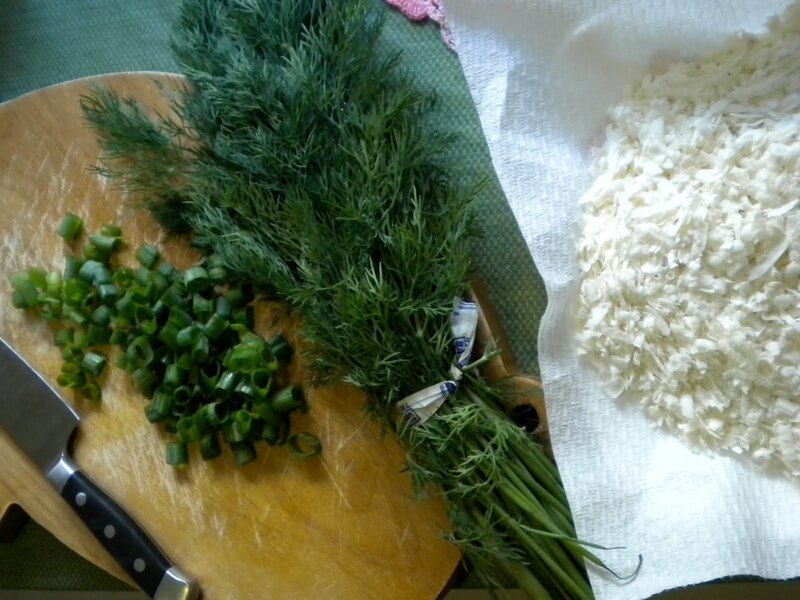 Wikipedia did tell me in advance that Gruyere would do as a substitute, but in my quest for 100% Greek-ness, I had to have just the right cheese (yep, I may have mentioned I’m not only a perfectionist, but also a little neurotic. This ties into my being a stickler for following the directions). Not only did I go to the local grocery store and ask about Graviera, but also, after failing to find it at location 1, I called location 2, which is about a mile away; again, major fail. As I needed to go to the grocery store anyway, I figured that I could go and check out location 2 anyway (neurotic people like myself believe that only we are capable of getting the job done; therefore the salesgirl’s claim that Graviera was not to be found in her deli was not necessarily doubted per se, but was still worthy of a thorough investigation….hmm, I perhaps have too much time on my hands); considering that the girl had also told me she sold only fetas in terms of the Greek cheeses, when I saw another clearly marked Greek cheese, myzithra, I felt both that my instincts had been confirmed and, more importantly, that success was mine. I didn’t count on myzithra being so salty, but, alas, if you’re stubborn enough to pursue only Greek ingredients while knowing little about Greek cheeses beyond the standard feta and also refuse to heed the wise advice of the all-knowing WIkipedia, well, you get what you deserve. Luckily, in addition to liking cheese, I like salt. And I’m not too proud to admit that I peppered the hell out of the cheese after a search to “de-saltify” cheese failed me on Google. =P It was tasty and, honestly, I think I’d make it the exact same way the next time around…and there will be a next time. 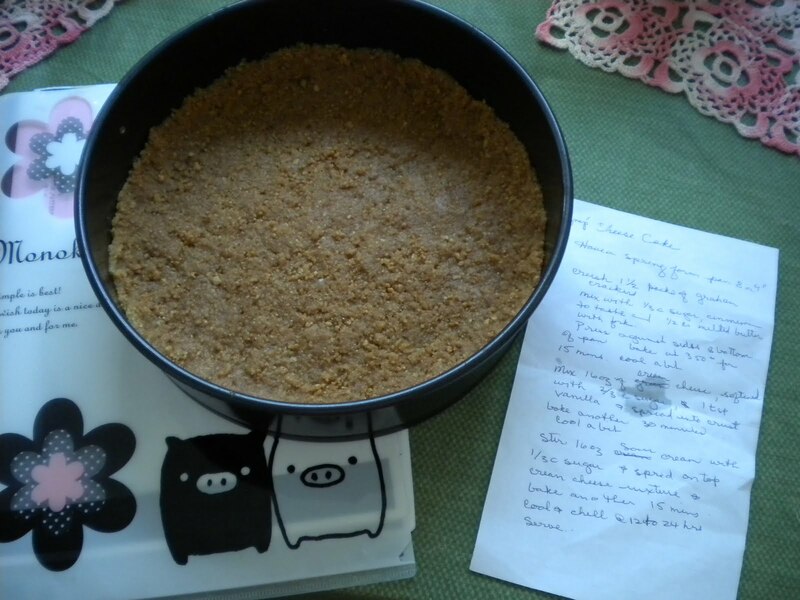 Fortunately for me, desserts are a walk in the park compared to savory dishes, and making this cheesecake, despite its needing to be put in the oven no less than three times, was no exception! In fact, I was so keen on it turning out well that I followed the wise words of a fellow Columbia Lion (yes, I was inspired after reading our school’s alumni magazine; go figure!) and went out and bought an oven thermometer. Needless to say, one of the best purchases I’ve made in a long time; I was shocked to discover a) how slow my oven was in terms of reaching the desired temperature and b) how it was off about 10-15 degrees. 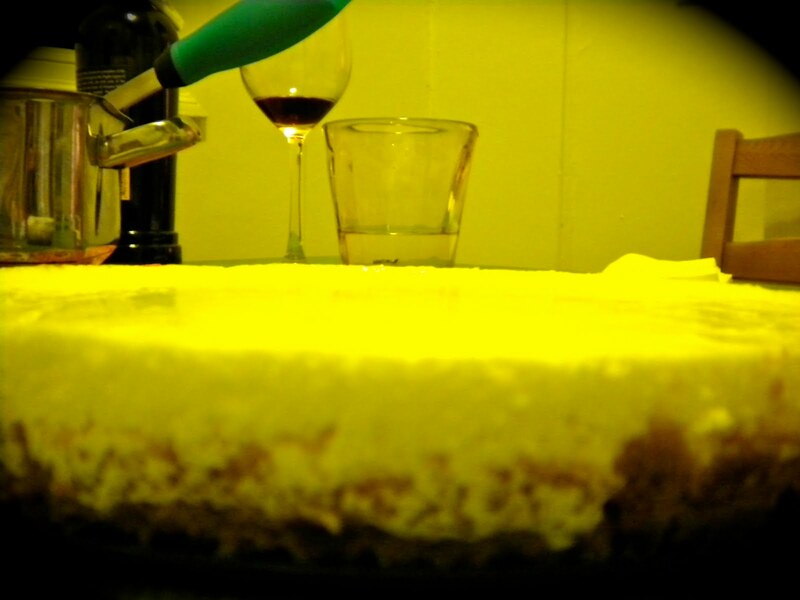 Even if you, like me, heart cheese in all of its salty and sweet manifestations, if you were to take one thing from this blog post, it should be “oven thermometer good; must invest.” Signy’s Cheesecake deserves it…. Speaking of cheesecake, I’m just curious, in your humble opinions, is it a cake or a pie? I firmly believe it falls into the pie category (as does jezebel), but there are those who would call it cake because, well, names, in all walks of life, clearly tend to be undeceiving…..riiiiiiiiiiight? I think the bigger question here is how in the world can pie, even if including cheesecake, trump cake….? Frankly, it’s disturbing. -Mix 1/3 c. sugar, cinnamon to taste and 1/2 up melted butter with form. -Press against sides and bottom of pan. -Bake at 350 for 15 minutes. -Mix 16 oz. cream cheese, softened, with 2/3 c. sugar, 1 tsp. 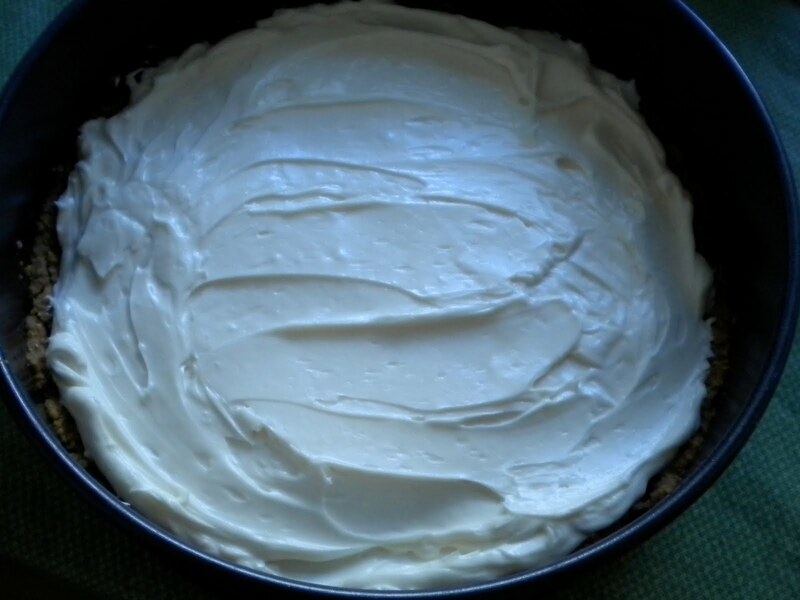 vanilla and spread onto crust. -Stir 16 oz. sour cream with 1/3 c. sugar and spread on top cream cheese mixture. -Cool and chill up to 12-24 hours before serving. Previous Article A Peachy Keen Last Hurrah! let's talk about how much i 1) love the last picture and 2) want a piece of that cake. 🙂 I would happily serve you up a slice, or a whole cake for yourself. Come to Cali!!!!!!!! !